fried and spiced fritters made from chickpeas. 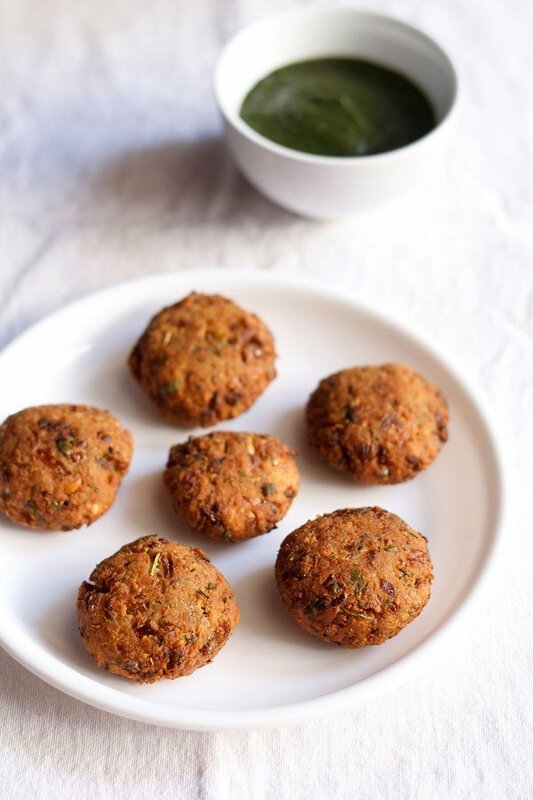 chana vada or chickpea fritters recipe – an easy to make simple snack with dried chickpeas. 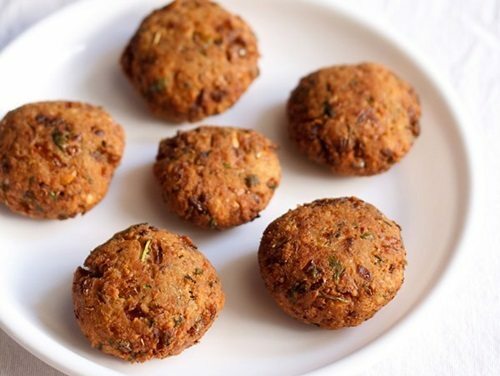 these are similar to falafel in their texture and crunch, but the taste is different as they are flavored with indian herbs and spices. i have given indian flavors to the vada or fritters. 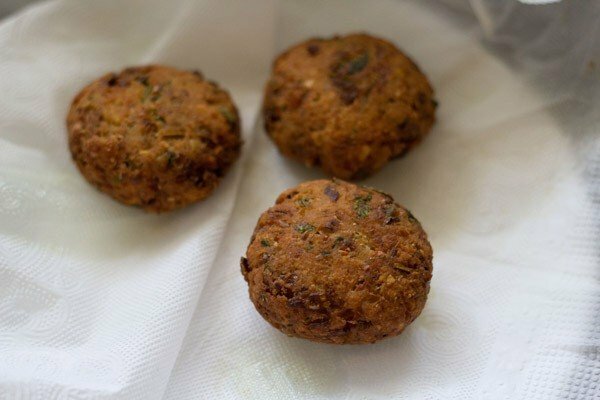 to make these vadas, you need to soak the dried chickpeas overnight or for 7 to 8 hours in water. then you drain and make a coarse paste of the soaked chickpeas with herbs and spices. the chickpea vada go very well with coconut chutney or even coriander chutney. they also taste good with tomato ketchup. 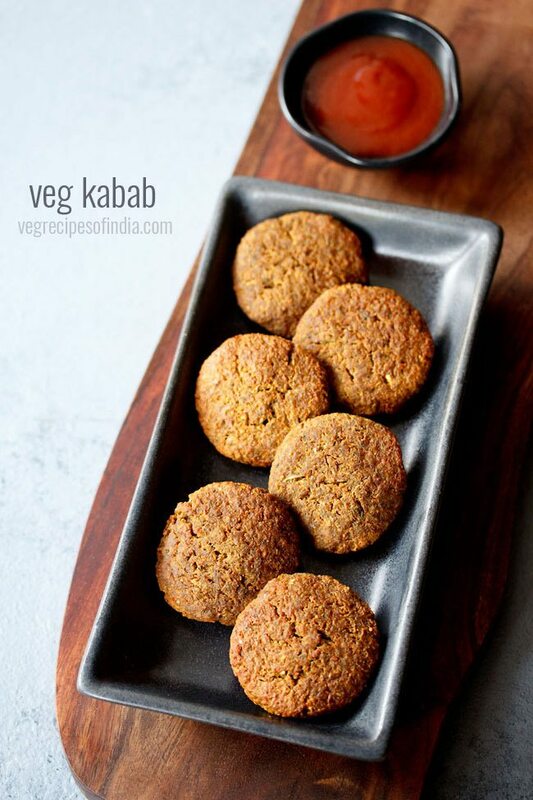 these chickpea vadas can also be stuffed in a burger bun or sandwich or pita bread or a wrap along with your favorite salad, sauces or dips. if you are looking for similar recipes then do check chana dal vada, onion fritters, bread fritters, rice cutlet, mix veg vadai and bread rolls with stuffed potatoes. rinse the chickpeas well. then soak them in enough water in a bowl or pan. keep covered for 7 to 8 hours or overnight. drain them well and add them to the wet grinder or chutney grinder. also add the chopped green chilies, ginger, asafoetida and cumin seeds. grind to a semi coarse mixture without adding water. add water only if required and if you are unable to grind the mixture. remove the chickpea mixture in a bowl. 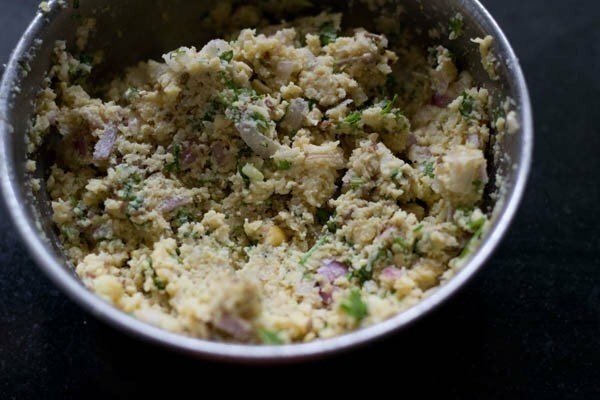 add finely chopped onions, coriander leaves, coriander powder, crushed black pepper, rice flour, sugar and salt. the rice flour helps in binding the mixture. 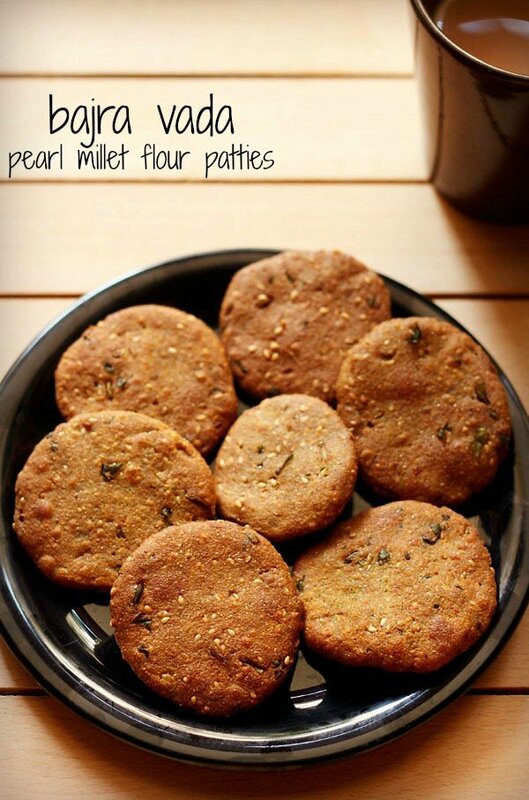 shape into round and flat vadas or patties. heat oil for deep or shallow frying in a kadai or pan. slid the vadas or patties into hot oil. let one side get half cooked and turn over carefully with a slotted spoon. 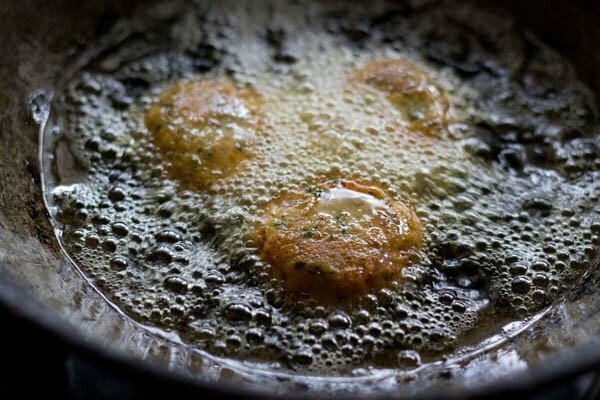 fry the chickpea fritters till both sides are crisp and golden. note if you have added water while grinding the chickpeas, then you won't be able to shape them like patties. in this case drop spoonfuls of the batter in hot oil while frying. drain the chana vada on kitchen napkins to remove excess oil. 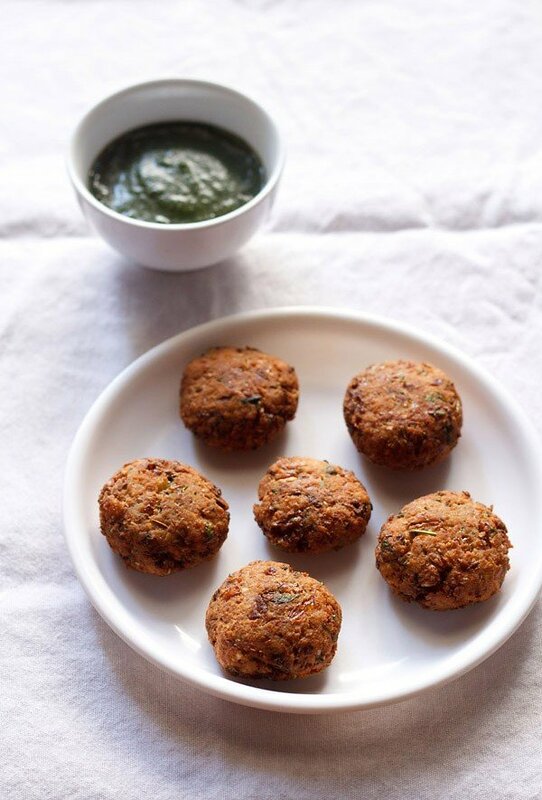 serve chana vada hot with green chutney or coconut chutney. 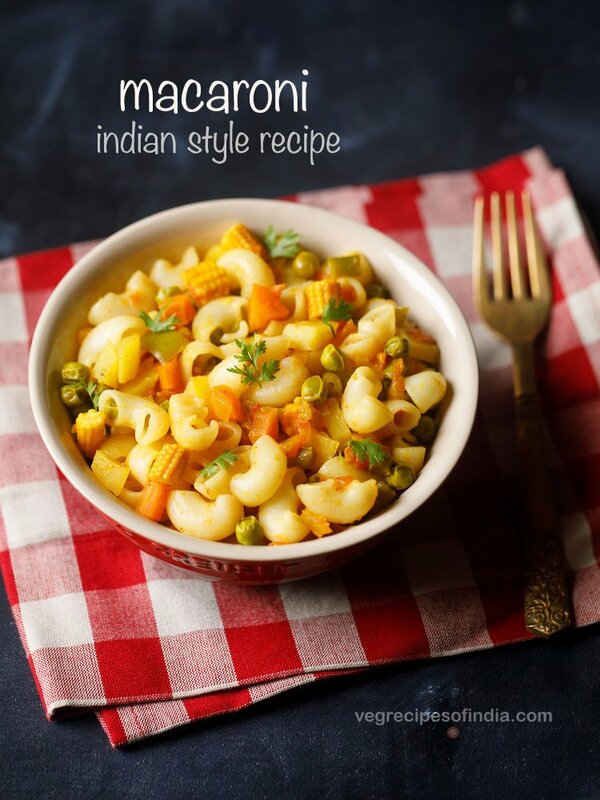 *to make a gluten free version, skip the asafoetida or add gluten free asafoetida. 1. grind the soaked & drained chickpeas/chana, cumin, green chilies, ginger and asafoetida to a coarse paste. add onions, rice flour and the rest of the spices to it. mix well. 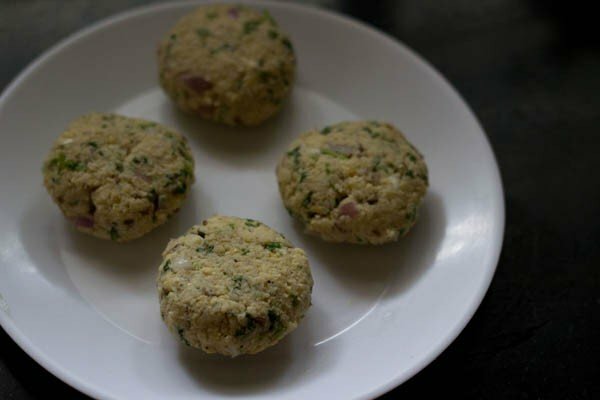 2. shape the mixture into round vadas or patties. 3. heat oil and then shallow or deep fry the chana vadas till crisp and golden. 4. drain chana vada on paper towels to remove excess oil. 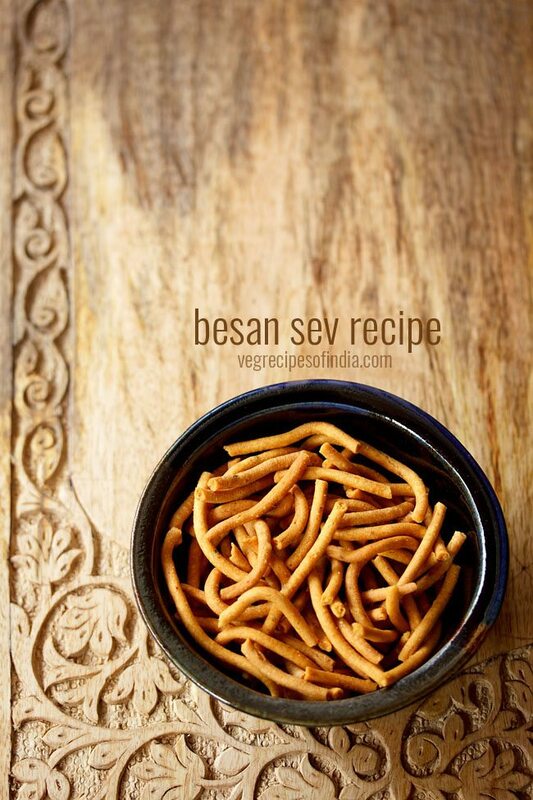 5. serve chana vadas hot with coconut chutney or coriander chutney or tomato ketchup. I tried this recipe dassana. When I dropped the vada in oil it broke totally. Is there a problem with binding?? Other masala vada and veg vada came out well. 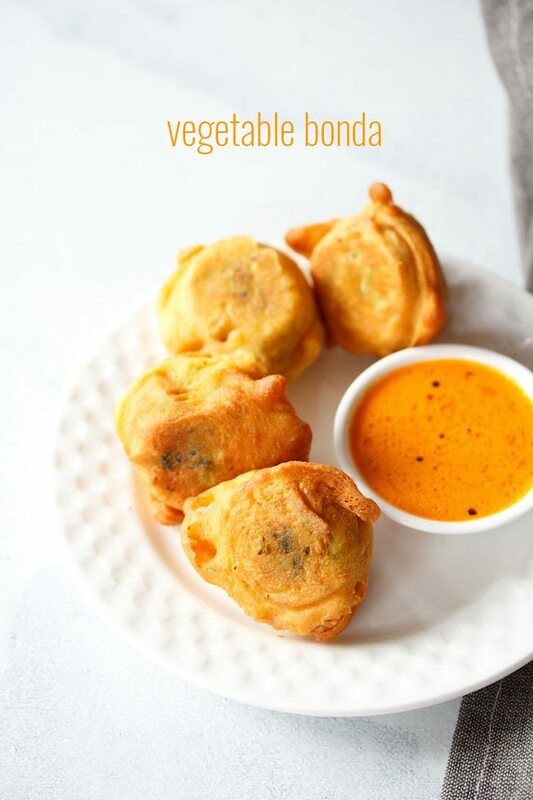 the recipe is similar to chana dal vada. the mixture has to be thick. if water is added and the batter becomes medium to thin consistency, then the vadas can break in oil. also rice flour is added which helps in binding. the water has to be drained very well from the chana before grinding. i would suggest to fry a small piece of the mixture first. if it breaks, then some rice flour can be added to bind the mixture. hope this helps. you can besan/gram flour or maida/all purpose flour. I can tell that this would come out super. The question I have is – why do we add rice flour to the batter? To make it crispier is my guess. But wanted to confirm. to make the vadas crisp as well as to bind the mixture. These look absolutely delicious. 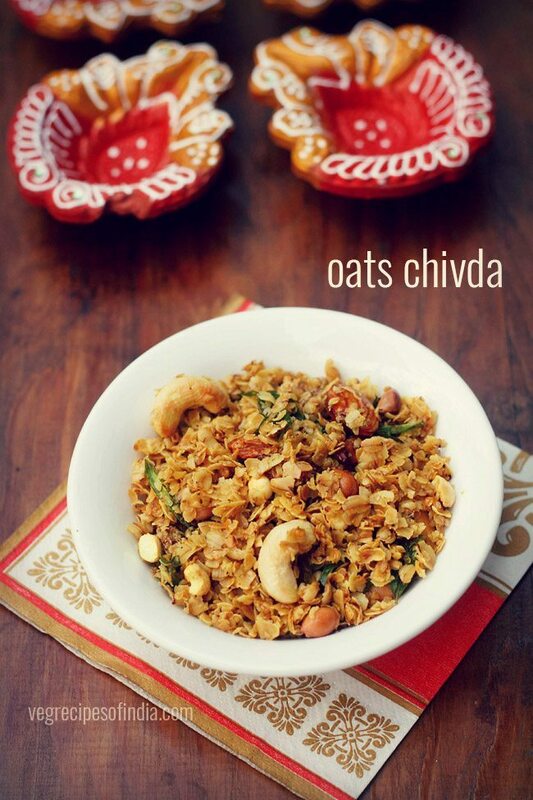 My mom in makes these with the green channa and I absolutely LOVE them.